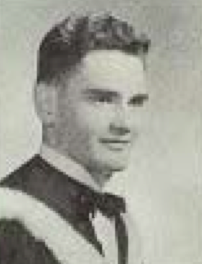 Gordon William McGarva was born in Winnipeg on 10 March 1935; McGarva graduated from the University of Manitoba in 1958 with a degree in architecture, where he won the thesis prize. Following graduation, the architect joined the firm of Kurnasky and Weinburgin Winnipeg. Here McGarva did what he described as “general work” for one year, before, in 1959, beginning work for the firm of Waisman and Ross. Here McGarva served as job captain on several large projects; he was registered as an architect in 1960 and continued to work for the same partnership in their offices at 301-208 Edmonton Street. McGarva stayed with Waisman Ross through the early 1960s as an associate; he remained in this position as this firm amalgamated in 1964 to form Waisman Ross-Blankstein Coop Gillmor Hanna – forerunner of Number Ten Architectural Group. By this point McGarva had specialized in hospital and shopping centre design. Amongst other such projects in this respect, McGarva was associated with the design of the Westwood Shopping Centre (later Unicity Mall) on Portage Avenue in Assiniboia, completed in 1963. McGarva became a principal within the larger firm in 1969. McGarva was furthermore involved with Number Ten’s projects in Northern Canada, with the the Canadian Consulate in Islamabad, Pakistan (of 1971-73) and the Zambia Institute of Technology (1972-75). He also contributed specifically to the Churchill Townsite Redevelopment Project and the Air Canada Maintenance Complex of 1976-1977. Overall, McGarva has worked on different projects in every Western province, as well as Ontario. McGarva was elected president of the Manitoba Association of Architects in 1977. In an interview with the Winnipeg Free Press upon his election, he emphasized the contemporary trend of the restoration and preservation of historic buildings. Where some architects found this type of work to be restrictive, McGarva embraced it with an unabashed fondness for the old styles. Standing in the banquet hall of the Fort Garry Hotel, McGarva marveled at the quality of construction and the richness of detail. He believed that we need to rescue our historic buildings because high-rises were no solution to the city’s renewal problems. People “need familiar objects, buildings and spaces to feel part of their community”, he continued, proposing that the current tax system needed an overhaul in this direction and that the emphasis should be on maintaining entire districts, like the recently rediscovered Osborne and Albert Streets. McGarva retired from partnership in January 2001, but remained an active consultant on several projects after this point. “Architect favours bid to save historic buildings and areas.” Winnipeg Free Press. 12 February 1977. McGarva, Gordon William. Letter to Manitoba Association of Architects. 2 January 1960. McGarva, Gordon William. Correspondence with the National Council of Architectural Registration Boards. 1967.